The latest survey of consumers' high-definition shopping plans from Japan has come to the not-entirely-startling conclusion that almost everyone intends to buy a Blu-ray machine now that HD DVD is out of the picture. 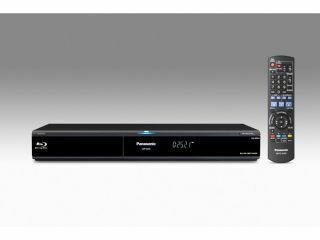 MyVoice Communications surveyed almost 15,000 people in March and found that 81 per cent want to pick up a Blu-ray recorder, although exactly when is less clear-cut. Practically none of the respondents had concrete plans for when they'd be going shopping, with most opting to say they really weren't sure when they'd splash the cash. Whenever they do decide to upgrade to Blu-ray, those shoppers said they were about equally likely to go for a Panasonic machine (24 per cent) as for a Sony recorder (21 per cent). Rather oddly, just over 3 per cent said they'd likely go for a Toshiba unit - perhaps they know something we don't. Regardless of the best-laid plans, the bottom line is really what matters when people get into the shops. A huge 33 per cent of answers indicated that the price would be the deciding factor in any Blu-ray purchase. Picture quality was next (16 per cent), followed by the brand and ease of use of any machine (both around 10 per cent). Intriguingly, the ability to record high-definition broadcasts was worth only 2 per cent. Not to be overlooked, however are the 9 per cent of respondents who said they have "no idea" how they'd choose a Blu-ray deck - there's clearly a lot of marketing still to be done.